Includes design, engineering and manufacturing. Tadge shows up around 10:30 or so. They do such a great job on the C5 I feel like rushing to buy one. Cool video! It made me sit still for a long time! Thanks Bikerjulio. Really fun, great reminder video of what a massive enhancement the C5’s was. Thanks, haven't seen this one, will download and watch on TV. 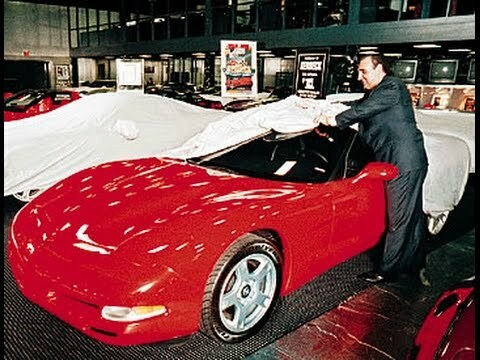 My C5 was an outstanding car. Only two things needing to be fixed during our eight years of loving and driving it. Agreed! I've had 2 with no noteworthy issues with either. The C5-Z06 is probably one of the best performance per dollar values right now. At the moment, I only have my DD and if the C8 takes much longer, this would be a great car to have fun with in the mean time. The only decision would be base or Z06. I like the convenience of the hatchback on the base, but the profile of the Z06, makes my heart skip a beat! I know. I know. I've been looking at this 2004 example, 20,000 miles. I just need a new house with more garage space. Once you factor in the cost of a new house with a bigger garage you're screwed, man! Still driving ours. Have had a few problems but love the car. Museum delivery on it too.